Anthony Gatto (born Anthony Commarota in 1973) was a juggling prodigy who learned to juggle at age five. In a few short years he was making appearances on television. With stepfather Nick Gatto, a long-time vaudeville performer, as his coach, Anthony started performing at age ten. Gatto’s name dominates the juggling record books. He owns the records for 7-12 rings, 6-8 clubs, and 7-9 balls. He won the Golden Clown award at the International Circus Festival of Monte-Carlo in 2000 and performed with Cirque du Soleil from 2007-2012. 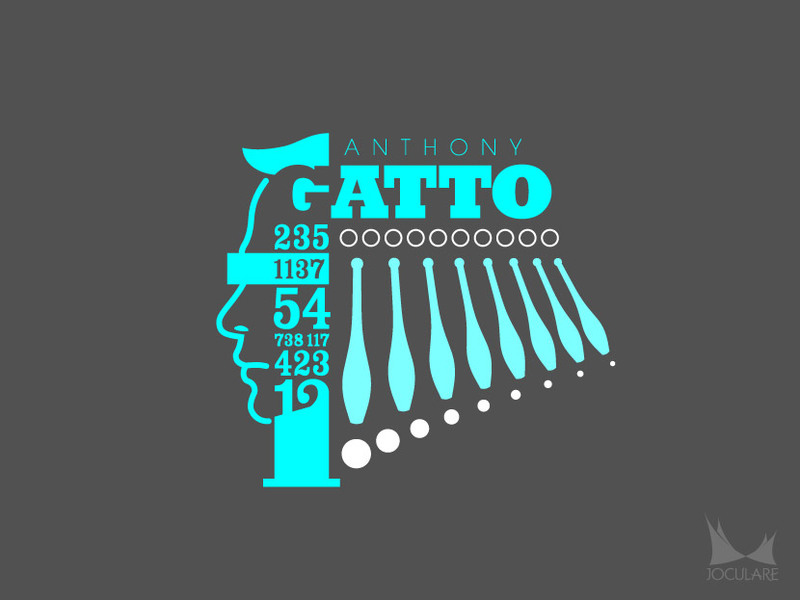 By all appearances, Anthony Gatto, probably the best juggler alive today and possibly the best of all time, walked away from the juggling trade in 2014. How do you design a poster that’s a tribute to one of the greatest jugglers ever? In my case, you start over quite a few times. My first concept made use of his last name in a stacked format that formed his profile. It was clever and it had potential. But the “A” portion which formed his forehead always felt a bit forced, and I struggled to find an appropriate setting for this design element. Below I show my best attempt. But it just wasn’t working and I had to abandon the concept. I then decided to focus on his status as king of numbers juggling, and his title (by many) as the greatest juggler of today. His first name came into play here, for by adding an additional cross bar to the H, you have a number sign. The following two letters are ON. Put those together and you are very close to having #ONE. 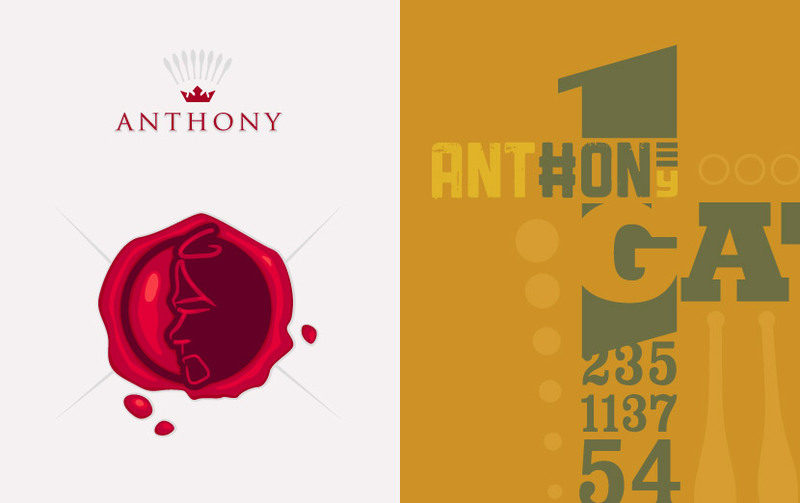 Unfortunately his name is not spelled “Anthoney.” There is no E. To get around this, I added three horizontal lines above the Y, making the Y half height. Now I was faced with a familiar struggle. It was clever, but my E workaround was a bit too awkward and forced. I couldn’t get around it. I loved the concept, but had to once again go another direction. In the end I gathered numbers from his various records, and stacked them as part of a large number one, which also doubled as part of his hair and jaw line. To the left his profile appears. To the right are ten rings, eight clubs, and nine balls. These are the highest number of each item for which he holds the record (not counting flashes). Finally, to symbolize his retreat from the world of juggling, a solid bar appears over his eyes. This is not meant to mock him in any way. Anthony Gatto is a hero of mine who I had the opportunity to see perform flawlessly as part of Cirque du Soleil’s Kooza, and I respect his assuredly difficult decision.